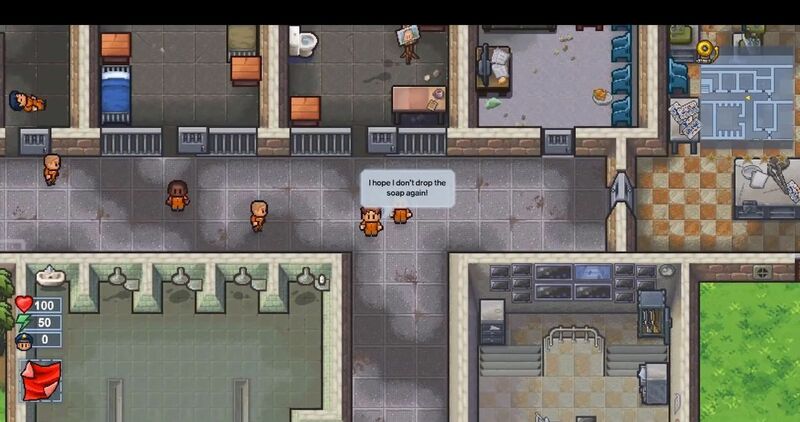 The Escapists 2 depicts a utilitarian paradise. Developed by Mouldy Toof Studios and published by Team17, it’s a prison escape simulation where everything has a purpose, and in most cases that purpose is escaping prison. It’s possible to break out of every high security locales by crafting, bludgeoning and painting your way to the perimeter outskirts, and it’s one of the most glowing examples of creative play that I’ve seen in a long time. Everything about this game is open ended, levels have dozens of valid solutions and there’s a great sense of humour about it all which ties it together. Some much needed quality of life updates sand away the rough edges of the previous game, making The Escapists 2 a great title for players who like a bit of incarceration in their recreation. Related reading: Nick's review of the original The Escapists. The central feedback loop is simple enough to understand: prisons operate on daily schedules to keep the inmates in line. Roll call in the beginning and end of the day absolutely cannot be missed unless you don’t mind some solitary confinement, while missing meals, job or exercise time will increase security presence. Players will learn to plot their schemes in free time, and use things like meal breaks as an opportunity to complete some favours for money and spend their money at one of the various vendors. It feels rather Sims-like, in that players will need to juggle their obligations to the prison, keep their health and energy meters up, manage relationships with guards and inmates all while trying to enact their ultimate breakout plan. There’s a staggering amount of possible items to buy, own and craft in the game. They’re separated into safe and contraband, and guards will make occasional searches of your cell storage to make sure you’re not holding onto anything nefarious. The crafting system has been vastly improved since the first game – it now gives you every recipe from the beginning and relegates the difficulty to scavenging the required item components from your day-to-day prison activities. 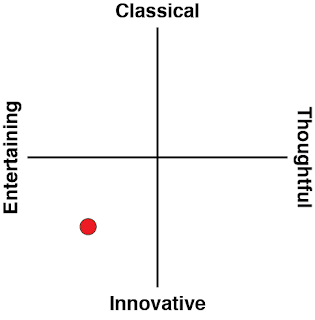 More complex items require a higher intelligence stat to craft, which can be raised by completing a reading minigame in spare time. Strength and endurance can also be trained via their own respective minigames, which are a little tedious to do, but are very necessary for smooth escaping. There are 10 prisons total to escape now, with increasing amounts of security, but across the board prison design has been improved from the previous game. The strength continues to lie in Mouldy Toof’s open ended design. Levels have multiple solutions including some that are really out there, and there will be moments where players are left wondering “I didn’t think I would be able to do that”. 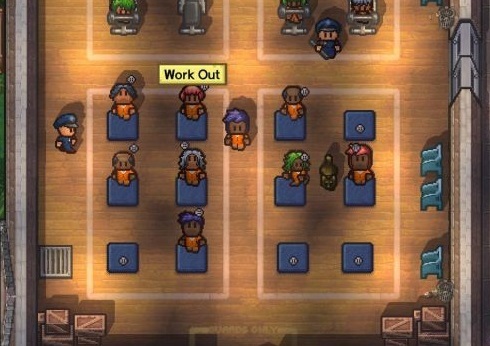 In addition to a great graphical rehaul that uses much more convincing 16-bit sprites, The Escapists 2 allows for more inmates to be present at a time, and for them to have more complex behaviours. Finding and completing favours feels more natural thanks to a handy mini-map, and the game is overall a little better at giving new players a sense of direction: no more raising the alarm because you couldn’t figure out where the meal room was. 3 of the missions are also “Transport Missions”, which have you escaping from a moving vehicle before time runs out. These missions are more kinetic as players race against the clock to formulate a getaway plan, featuring the game’s stealth and combat mechanics more closely. They eliminate the prison routine mechanic, instead preferring to let players creatively interact with the level at their own pace. It’s a welcome change that offers something a little different, as the traditional prisons could drag on if the player messed up their attempts too many times. 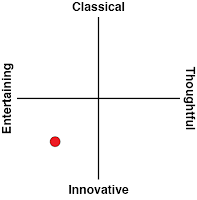 The combat mechanic unfortunately continues to be the weakest component of the ensemble. It’s still controlled by swinging with the right trigger and blocking with the left. The victor is the fighter with the best weapon and armour in most cases, except you’ll have timing on your side to dodge the AI’s attacks as well. There are plenty of non-violent solutions to each level, thankfully, and at least the more detailed sprites make it clearer when you’re about to be hit. The Escapist 2’s other great addition is the Multiplayer mode, which allows multiple people to inhabit and escape from the same prison, or compete against each other in the Versus mode. Versus mode is lots of fun – it effectively streamlines the game down to one day and challenges players to be the fastest to break out, and it’s hilarious if another player gets knocked into solitary and has to watch you succeed. My only real complaint is that split screen makes the individual screens tiny unless you’ve got a big TV, and all the required reading doesn’t help either. If you’ve got a friend with the game, or who enjoyed the first Escapists, the multiplayer modes are a great distraction. There’s also the option to go online, but I experienced a lot of lag, probably due to the sheer number of potential-player-characters rendered, and things like combat or exercise are completely ruined by even the smallest amount of input delay. 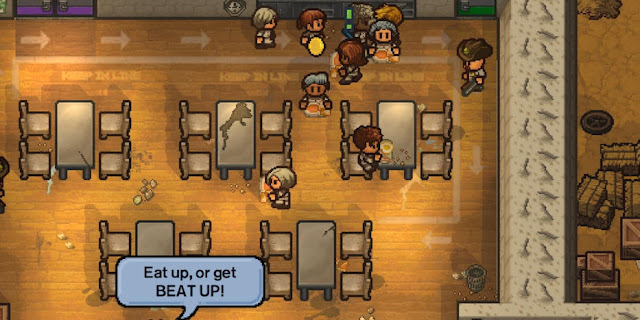 Related reading: There was also a Walking Dead edition of The Escapists. Lindsay reviewed that one. With some choice additions to an already great formula, The Escapists 2 is a neat little game which is sure to capture your attention. It does have a rocky start thanks to a sparse tutorial and a steep learning curve, but the sheer amount of possibilities and the inspired open-ended design will have players back for more even after they’ve broken out of every prison. It’s certainly a more thoughtful, methodical game than something like Monaco, but with patience, Mouldy Toof and Team17 will have you feeling like a real master of escape.